Target your most-wanted customers and expand your reach into the Cumberland Valley. Valpak has the recognition and resources to put you where you need to be with direct mail. Advertise your small business inside The Blue Envelope® and you choose the type of insert to promote it, from single or multipanel coupons to circulars and more. Valpak is far more than a direct mail marketing agency. We also provide a myriad of digital advertising tools to ensure your business is found by consumers searching online. We can help you develop a mobile responsive website based on the ways consumers search and directly link it to valpak.com so you benefit from Valpak’s authority in search. Valpak of Cumberland Valley understands that tracking your return on investment is vital to the health of your business. We use some of the industry’s most sophisticated tracking tools to help you measure the success of your advertising spend. Contact us today to learn what programs like performance dashboard and call tracking can do for your bottom line. As a second-generation Valpak franchise, our Cumberland Valley team is dedicated to the success of small and medium-sized businesses in the region’s various markets. This includes Jefferson County, West Virginia, Washington County, Maryland and Franklin, Adams and York counties, Pennsylvania. From direct mail coupons to solo direct mail, ad space that fits your business at prices that fit your budget. Robust digital marketing solutions, including website development and SEM, from a Google Premier Partner. Performance tracking of your direct mail and digital advertising campaigns to prove return on investment. For specific dates and coverage, contact your Valpak of Cumberland Valley representative. 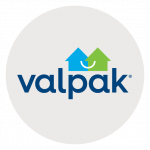 Valpak of Cumberland Valley is an independently owned Valpak franchise.